This paper is the result of three years of studying how knowledge workers can become more productive. The simple answer found was that all that is needed is to eliminate or delegate unimportant tasks and to replace them with value-added ones. 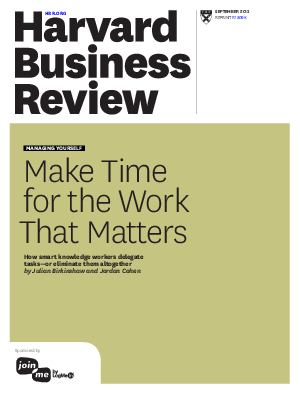 Download this paper to understand how to free up significant time to make you and your workforce more productive.